If there’s one thing I’m proud of in 2014, it’s the thrifty spending habits I’ve started to develop. As a personal style blogger, you probably wouldn’t be surprised to learn that I spend more than I should on clothes. I always have done. It’s not that I buy expensive clothes, I buy far too many clothes. With a wedding to plan for and a potential house move on the cards, well, I’d rather be saving for the future. When Freixenet asked ten bloggers to share the #LittleThings in life that are worth celebrating, a moment that gives you the secret yes feeling, I rated swapping, thrifting and borrowing my way to a new wardrobe, on a small budget, as something worth raising a glass to! 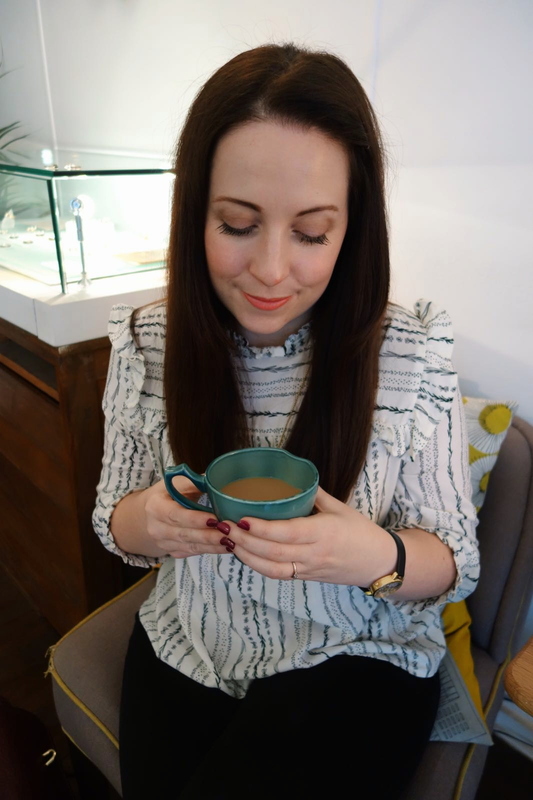 Over the course of 2014, not only have I started to spend more time in charity shops, but along with some blogging pals, I’ve swapped and traded my way to a new, more exciting wardrobe. Who could forget the 100 day spending ban? 2014 started with a total ban on the purchase of any clothes until the middle of April. Along with Rachel, I bought nothing and celebrated my freedom by going on a shopping spree…albeit, my spree was in a few charity shops. In the middle of the dreaded spending ban came Frock Swap to save my sanity and help me on my way. It was both exciting and challenging, but without doubt the most fun blogging campaign I’ve ever had the pleasure to take part in. 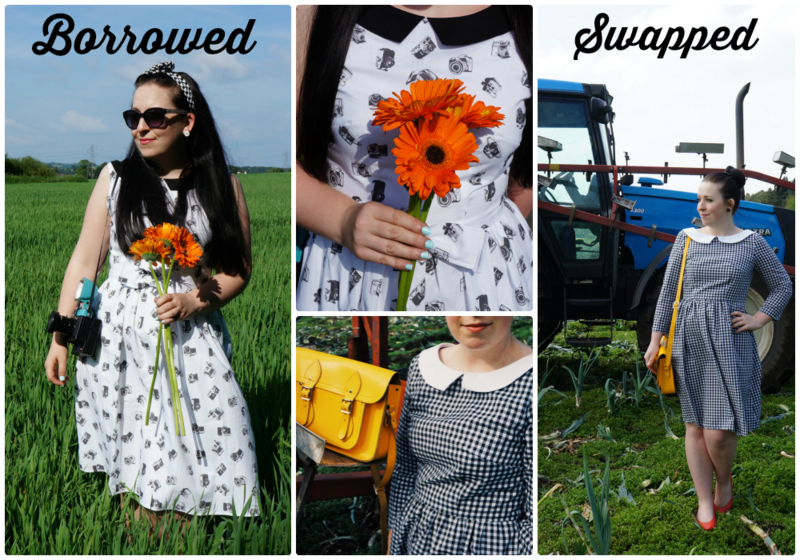 Along with Erica, Rachel and Debbie, a parcel was swapped via the Royal Mail every 2 weeks (ish) in round-robin style until we’d had time to style each item. What started as a simple dress swap was helped along by supermarket clothing giants, F&F and George, kindly gifting us items of our choice to swap. 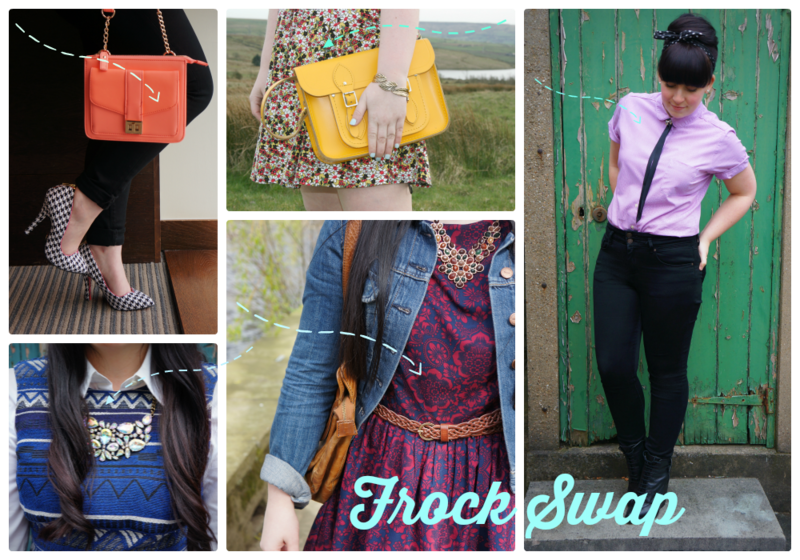 You can see each item in full by searching ‘Frock Swap’. With Frock Swap, came Debbie. The owner and creator of Duck & Duffel. With cute collars and quirky prints, I instantly fell in love with each and every one of her dresses. At the time, Debbie was releasing her new range and I happily accepted her offer to feature the Sarah dress on Polkadot Pink. Whilst this dress had to be returned to its rightful owner, I was lucky enough to finally own a handmade dress by Debbie via a swap we made. The gingham Emery dress was hand sewn by Debbie and the dress of dreams. I’d wrote wishlists about it and had even been gifted a gingham dress by John as a way of getting it out of my mind. With the collar and longer sleeves, this remains one of my favourite dresses today. Of course, I’ve also bought clothes on the high street. Buying things that are reduced, preferably by 50% or more, definitely gives me that yes feeling especially when they become well-worn and well-loved. 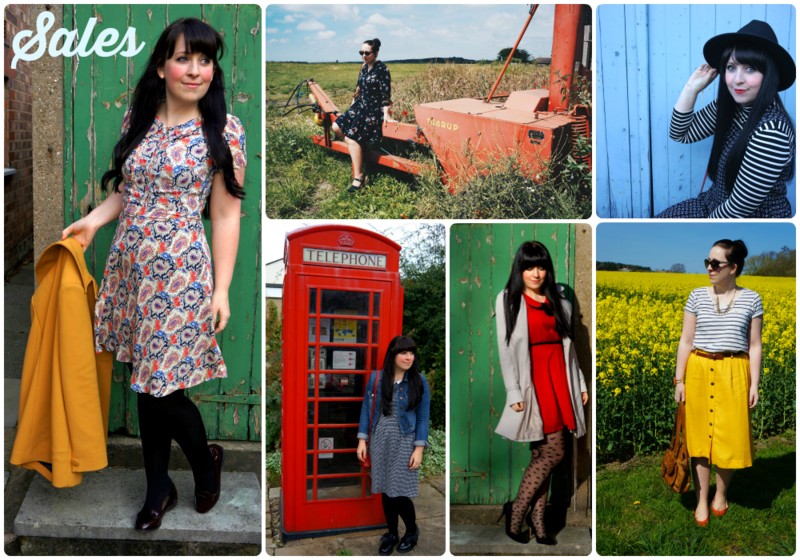 Until I started seeking pictures for this post, I didn’t realise just how much of my wardrobe are sale buys. 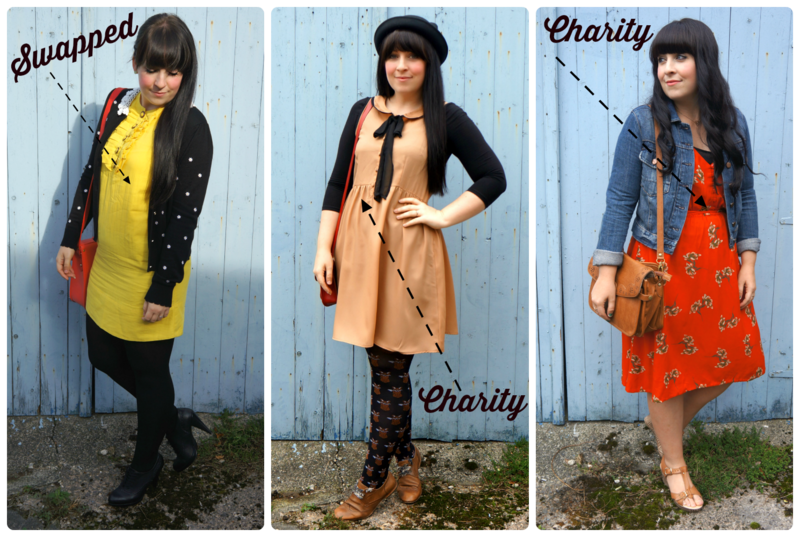 From £4 tops to £7 skirts, the sale buys in this picture cost less than £50. So, there you have it. A year in review with the little things that made the bigger things affordable. In 2014, John and I visited TEN cities and spent a grand total of six weeks travelling. With 2015 on the horizon, tonight I’ll be celebrating with a glass of bubbly and hoping for another 12 months of good clothes fortune. What are the #littlethings in your life? How are you celebrating the end of 2014?